A must-have for a transport rental business! The comprehensive yet flexible program enables creating a database of transport facilities and storing information about clients. Whether your rental agency provides cars, trucks, bicycles, tractors, boats or ships – Transport Rentals will allow you storing the full information on your facilities, including pictures, certificates and other details. The program boasts intuitive user interface, which requires no previous experience. You can also customize the database to meet your specific data management needs and requirements. Besides, the program allows creating client database. Transport Rentals stores the full information on each client, including address, contacts and order history, and is always ready to provide it, ensuring personal approach. The program’s powerful search engine ensures that you can access the information you need with just one mouse click. The program displays all the necessary details, saving you time and effort; you don’t need to try to remember which transport facilities are available at the moment, while your client is holding on the phone: Transport Rentals serves as your personal assistant, always ready to find it out for you within a second. 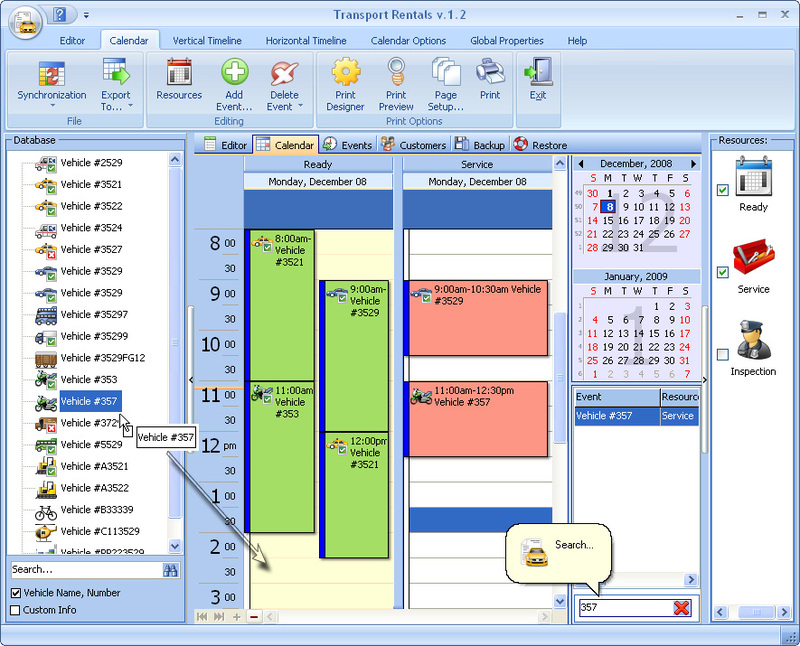 The program can also be used for scheduling appointments and planning your working day; the built-in scheduler can also remind you of the transport facilities that need regular maintenance checkup. The program enables a user to save the price of the order and provides the financial statistics for any period of time. The software supports most of the formats, including HTML, iCal. You can also drag and drop the objects to appropriate time slots: it makes creating the database even easier.